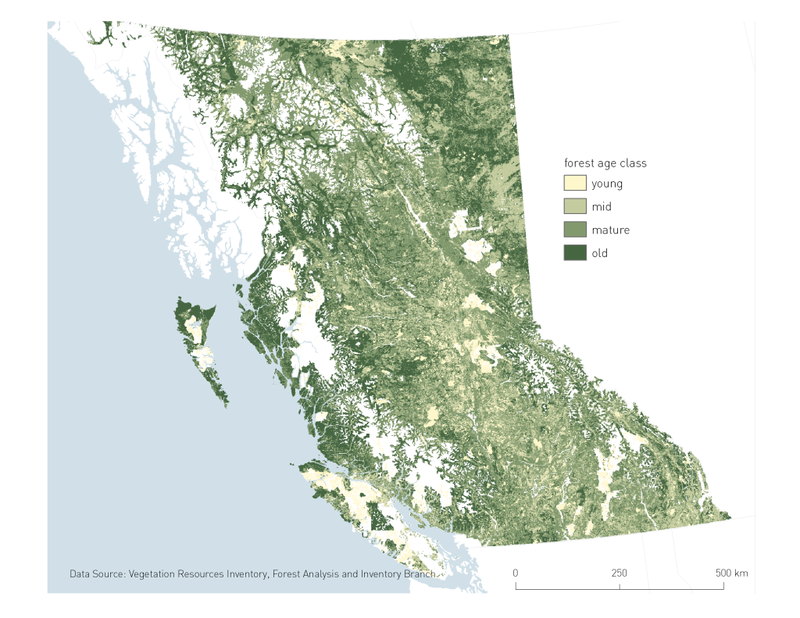 Building and executing an ArcGIS Model Builder model which takes province-wide hectare-grid data and produces summaries of the physical character of BC’s forests according to ecological, administrative and protected status. 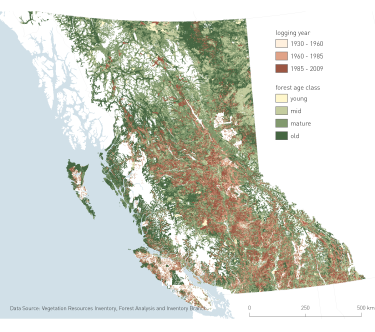 The Forest Practices Board is British Columbia’s independent forestry watchdog. 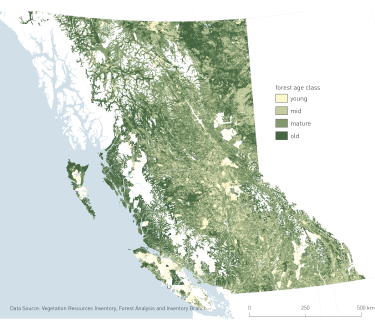 BCFPB research personnel answer questions that draw on enormous quantities of data about BC’s natural landscapes: species, age, ownership, protection, logging, fire, beetle kill, stand status and more. That data exists but can be cumbersome and slow to work with in its raw GIS format. 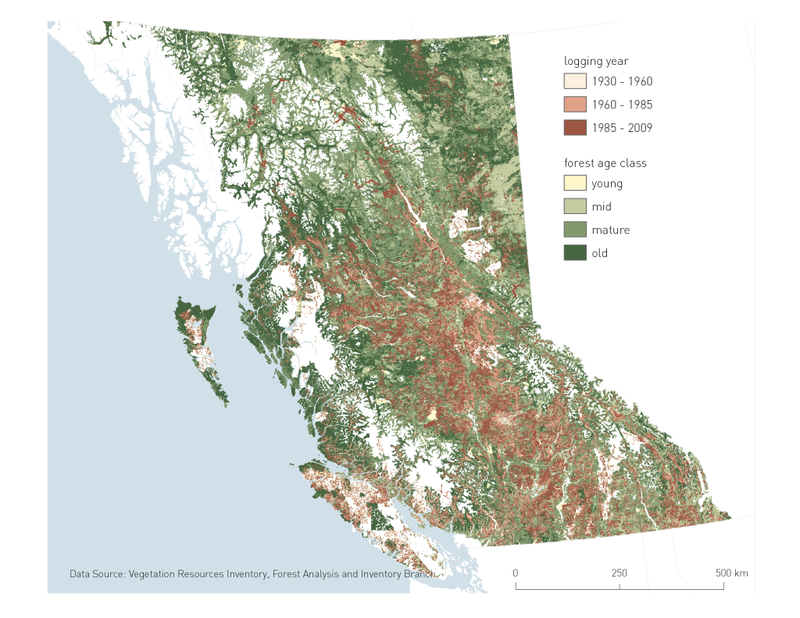 The BCFPB and the Forest and Range Evaluation Program wanted a pre-processed version of the available data to facilitate timely answers to pressing conservation questions. 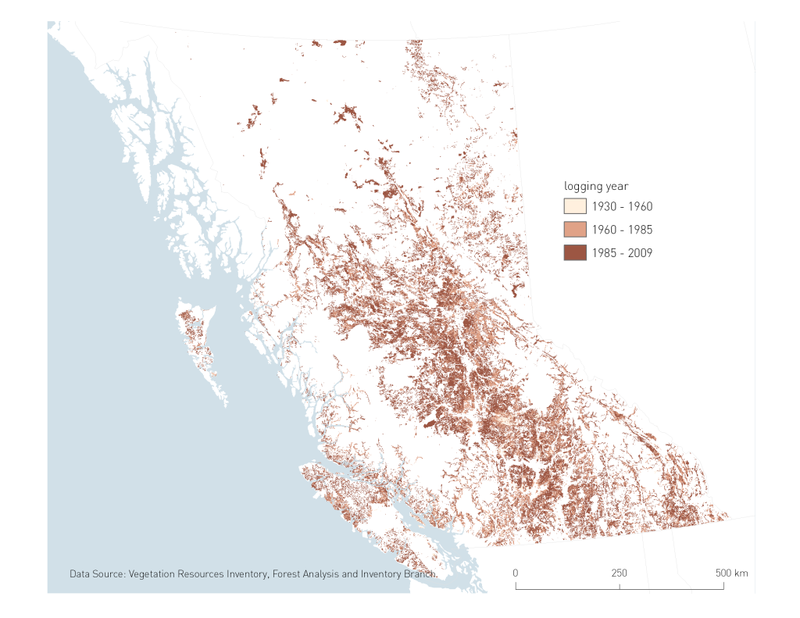 To that end Geocology developed an ArcGIS Model Builder model which takes 17 seperate province-wide datasets and computes integrated indices for every hectare in BC. 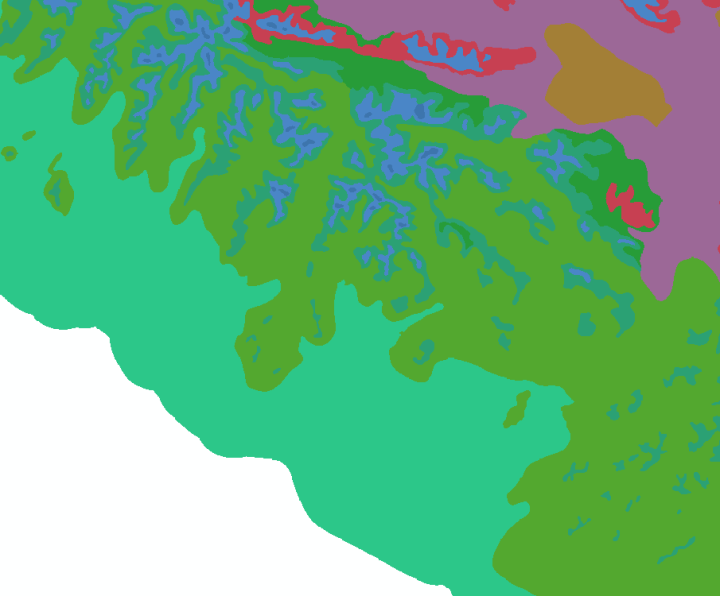 The final output is a series of relational database tables which contain entries summarizing the biodiversity status of every pixel in BC, and provides links back to the component datasets underlying those indices. Using standard, non-GIS database software those per-hectare indices can be quickly summarized according to tenure and jurisdiction, in order to produce rapid answers to conservation questions as they arise. 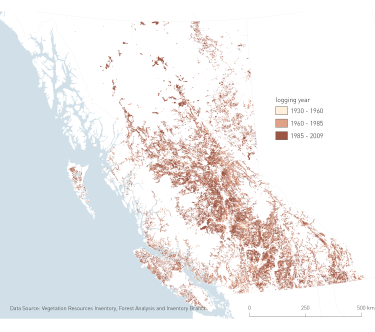 Further additions were made to the v1 model to account for ecosystem edge effects and forest/non-forest adjacency, in order to provide more biologically meaningfull accounts of BC’s landscapes. Output from the Landscape Level Biodiversity Status Model is already being used to explore questions of stock regeneration and forest integrity. The model is designed to be re-run by Board personnel as new versions of provincial datasets become available.